Description: Pretty latte coffee with heart design. Chai latte, mocha, cappuccino, macchiato and caramel latte with art design. 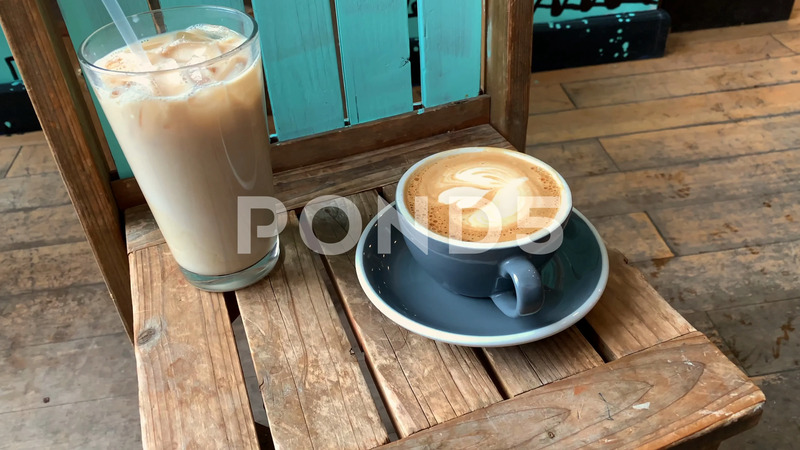 Ice coffee and latte in rustic coffee shop.